Adult Disposable Incontinence Nappy with Belt - Size Medium, Absorbancy Maxi iD Expert Belt are b.. Adult Disposable Incontinence Nappy with Belt - Size Medium, Absorbancy Plus iD Expert Belt are b.. Adult Disposable Incontinence Nappy with Belt - Size Medium, Absorbancy Super iD Expert Belt are .. 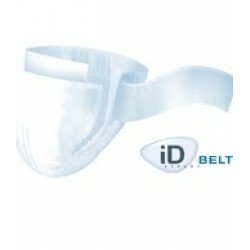 Adult Disposable Incontinence Nappy with Belt - Size Large, Absorbancy Plus iD Expert Belt are be.. Adult Disposable Incontinence Nappy with Belt - Size Large, Absorbancy Super iD Expert Belt are b.. Adult Disposable Incontinence Nappy with Belt - Size Large, Absorbancy Maxi iD Expert Belt are be..